This year’s ranking once again demonstrated that broking groups are leading the fray when it comes to leading brokerages, but that independent offices are rapidly challenging the big groups, as Annie Kane outlines. Building a leading brokerage takes hard work, dedication and a commitment to delivering the best outcomes for customers, in the best interests of customers. Top brokers are professional, personable and efficient. They are not only experts in their field, they also fully grasp the importance of the lending journey. In a lending environment that has been characterised by regulatory change, the top 25 brokerages should be applauded for staying on top of industry trends and providing trusted guidance to customers on how they may be impacted. NAB is committed to the broker channel and supporting brokers to build customer-focused businesses. We have evolved our offering by listening to broker feedback and ensuring we are providing top quality service and innovative loan products. On behalf of NAB, I would like to congratulate all of the stand-out brokerages featured throughout the next few pages for their continued commitment to both the industry and their customers. While the financial year 2018 was one of upheaval and change, the Top 25 Brokerages ranking 2019 demonstrates the strength of the broker channel. The top three players – the major broking groups – held on to their pole positions for the second year in a row, demonstrating that the power of the big brands continues to be strong. As Aussie CEO James Symond told me when I caught up with him, borrowers tend to turn to the brands they know in periods of uncertainty – and given the uncertainty and changes caused by the financial services royal commission, this stood the household brokerage brands in good stead. But the independent brokerages have been hard at work to compete with the national franchise brands too. Shore Financial, which has offices in North Sydney and Melbourne, jumped up seven places in this year’s ranking to come in fourth position – just behind Loan Market. Congratulations must also go to The Australian Lending & Investment Centre (fifth place), which held onto its crown for the highest level of broker productivity. Brokers at Oxygen Home Loans (sixth place) must have been very busy last year, having written 1,469 loans last financial year with only three support staff, while those at Buyers Choice Mortgage & Finance (seventh place) wrote the most loans of any non-franchise brokerage in the last financial year, both in volume and dollar value terms. Queensland brokerages also made a comeback this year (after having fallen off the grid last year), with both Coronis Mortgage and Finance and Hunter Galloway making it into the ranking this year. We speak to the heads of the top five brokerages to find out how they are doing it. Holding onto its top place again this year, Aussie has shown how strength of brand can be a boon in times of uncertainty, as CEO James Symond explains. Q. YOU’VE TOPPED THE LIST YET AGAIN THIS YEAR. WHAT DO YOU THINK ARE THE KEYS TO AUSSIE’S SUCCESS? We’ve been around for 27 years, and after 27 years, you really start to hone your skills and hone what you’re good at. The Aussie brand is a household brand that is trusted by both the industry and customer. It is interesting to see that whenever you have an industry or marketplace that goes through a tough time, a time of instability, you find that brokers and customers gravitate towards the brands they know, the brands they trust and the brands they have interacted with before. Here at Aussie, we are finding that the strength of the brand is really helping through this more difficult marketplace. In terms of our success as a business, I firstly look at culture, which is so very important. Culture enables people to be satisfied and successful in what they do. Then I look at the support that we give through systems, processes and people. So, I look at brand, culture and support, and I know that they are the things that we need to be on top of our game with. Because everyone has very similar product and everyone pays commissions... so therefore the focus on us is on the brand, culture and support, which is where we can make a difference. Q. THE ROYAL COMMISSION HAS CLOSELY SCRUTINISED HOW THE SECTOR WORKS. WHAT CHANGES HAVE YOU BEEN IMPLEMENTING IN THE PAST YEAR? One of the things that was clear to us is that we needed to lift our regulatory game. We needed to be even better than what we thought we were. So, we have put aside many, many millions of dollars to develop further systems and processes to assist our brokers and customers through the regulatory landmines that are there today and that will be there, and even stronger, tomorrow. As we speak, we are really rebuilding Aussie behind the scenes. It is important for us to come out strong from this, stronger than ever. As all mortgage broking businesses should be doing today. Q. LAST YEAR, CBA ANNOUNCED THAT IT WOULD BE DEMERGING AUSSIE INTO A SEPARATE WEALTH AND BROKING GROUP. WHAT DOES THAT MEAN FOR AUSSIE BROKERS? Looking forward, we expect to demerge by the end of the financial year. We expect it will have the same impact to our brokers and customers as it did when Commonwealth Bank owned Aussie. Basically, very little impact, if not none. We run an independent business. We are on our own crusade. We run our own household brand. And we don’t have any bias towards any particular lender. It worked extraordinarily well for 27 years, and it will work extraordinarily well for the next 27 years and beyond. While nothing has been completed yet, Aussie will continue to be an absolutely independent business, brand, culture, people. There is no mixing of the ingredients. We’re very hard and forceful on that. We are very successful in our own right, and unless something is going to lend tremendous value to our brokers and our customers and our business partners, we’re not interested. Last year saw some major changes occur at brokerage Mortgage Choice. As well as welcoming a new CEO, the brokerage also introduced a new remuneration framework and broker platform, as CEO Susan Mitchell explains. Q. WHAT DO YOU ATTRIBUTE TO MORTGAGE CHOICE’S SUCCESS IN THE 2018 FINANCIAL YEAR? My number one priority as new CEO was to create a platform for growth and long-term sustainability. Core to this was the introduction of a new broker remuneration model and best-in-class cloud-based IT platform. The company invested $3.4 million into a new Broker Platform. With a focus on reducing data entry across multiple systems, the platform enables a smoother loan submission process and helps our brokers write loans up to 30 per cent faster, while improving the overall customer experience. Our new broker remuneration framework provides franchisees with higher remuneration and reduced income volatility. The new model also enables franchisees to invest in their business while attracting new, high-quality franchisees and loan writers to the network. In conjunction with these deliverables, we have continued to provide high levels of support to our franchisees including compliance, training, marketing, IT and business planning, for which we are renowned for in the industry. Q. HOW ARE YOU SUPPORTING BROKERS IN WRITING SUCH A LARGE AMOUNT OF LOANS/PRODUCTIVITY? Brokers need the right IT support to help them work efficiently, and the company’s new cloud-based Broker Platform enables our franchisees to write loans faster while improving the overall customer experience. The quality of Mortgage Choice’s training, lending and compliance support is second to none and critical in these times of unprecedented change in the lending environment. Q. WHAT ARE MORTGAGE CHOICE’S MAIN PRIORITIES FOR THE YEAR 2019, AND HOW WILL YOU ACHIEVE THEM? Mortgage Choice will continue to implement the company-wide change program we commenced with the roll-out of our new broker remuneration model in July 2018. The objective is to build a platform for growth and long-term sustainability. Following the very successful launch of our new Broker Platform, we will continue to invest to enhance the platform, with process automation the next cab off the rank. Process automation will increase broker efficiency even further and the planned enhancements will continue to improve the customer experience. We are also investing in an online help centre for franchisees, which will provide immediate help and assistance when needed. Growing the Mortgage Choice Financial Planning business is another key priority for the company as it provides our brokers with an additional revenue stream and will enable Mortgage Choice to achieve our vision to be Australia’s leading provider of financial choice and advice. A new adviser remuneration structure is rolling out and a new technology platform will be launched to our advisers in the first half of 2019. 2018 was a big year for Loan Market, as the brand took home countless awards, kicked off the year with a new look, concluded the roll-out of its tech platform MyCRM and celebrated the first birthday of its financial planning group, Wealth Market. Chairman Sam White reveals more. Q. WHAT WERE LOAN MARKET’S GREATEST ACHIEVEMENTS IN 2018? We saw some remarkable individual achievements with our franchisees and brokers taking home a string of awards. A big achievement for us was being voted No. 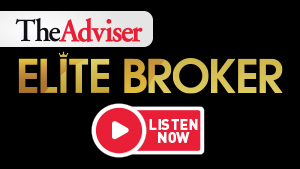 1 Broker Group of Choice through The Adviser’s industry-wide survey. I am incredibly proud of this recognition and will continue to work to ensure value in being a part of our group. In terms of company growth, our progress in technology included launching a customer service manager and mentoring program for our members and we concluded the role out of our tech platform MyCRM, with 100 per cent of the broker network now on the platform. Q. WHAT DO YOU ATTRIBUTE TO LOAN MARKET’S SUCCESS OVER THE PAST YEAR? The success Loan Market experienced in 2018 came down to three things: our brokers continually doing right by their customers, the culture that comes from being a family-owned and operated business and, thirdly, our mission to become the Trusted Advisor, a professional who connects customers with a community of financial services and products, not just mortgages. We have great people who are energised to keep getting better. Q. WHAT WILL THE BRAND FOCUS ON FOR THE YEAR 2019? In 2019, Loan Market will focus on delivering three key priorities to our network: 1) save our brokers time; 2) grow our brokers’ businesses; and 3) keep our brokers safe. 2019 will also be underpinned by our Trusted Advisor strategy for our brokers to become a professional who connects customers with a community of financial services and products, not just mortgages. The royal commission will undoubtedly gain a lot of our focus in 2019. As hard as it is to deal with this uncertainty, all we can do is ensure we continue to look after our customers. Shore Financial was the leading independent brokerage in this year’s ranking. CEO Theo Chambers reveals why he believes culture and training are the secrets to its success. Q. YOU WENT UP SEVEN PLACES IN THIS YEAR’S RANKING. WHAT DO YOU THINK HAS ATTRIBUTED TO YOUR SUCCESS? We are very particular in who we hire. We probably only hire one out of every 10 people we see. We have an amazing training programme with a dedicated trainer in our business, Dana. We also have a two-year mentor training system where brokers are paired up with a senior broker within the business to help learn from them. And I also do a lot of the sales training. Our high productivity comes down to the fact that every single person in our business was never in lending prior to joining us. It’s very hard to undo bad habits. We had a rule that we only hired new-to-industry brokers so that they learnt our processes and our way. We have a whole sales force that is bred as the same breed. Q. HOW IMPORTANT IS CULTURE IN RUNNING A SUCCESSFUL BROKERAGE? Culture is what makes people happy in the workplace, drives results and keeps people motivated. At Shore, it’s a “one team, one dream” environment. The fact that we’re all in one office in Sydney makes a big difference in terms of sharing knowledge. We have a weekly team meeting on Monday morning, a monthly sales meeting where we share case studies and share knowledge, and we get a different lender in every single Wednesday. Learning from different people is key, so we do an office shuffle every 12 months to sit next to different people because you can hear different things on the phone, learn different strategies. Q. WHAT ARE YOUR TOP TIPS FOR RUNNING A SUCCESSFUL BROKERAGE? I think my biggest piece of advice is to make sure you put in the appropriate amount of time planning an ideal process for your businesses before you seek out rapid growth. With just 11 brokers in the last financial year, the Victoria-based Australian Lending & Investment Centre wrote an impressive 2,477 loans totalling just over $832.5 million, making it the most productive brokerage in the country. Principal Mark Davis explains how they’ve done it. Q. ALIC HAD THE HIGHEST BROKER PRODUCTIVITY LEVELS AGAIN THIS YEAR. HOW ARE YOU DOING IT? In this market, it’s about being persistent and doing massive amounts of training. We’re working hard on hiring the right staff that have the right behaviours to go through our business. The reason why our productivity is so high is because we expect brokers to come in and be in the top 0.2 per cent in the country, which is writing $80 million-$100 million a year, within three years. Our brokers have to write $40 million in their first year with no referrals from us. Then they have to write $60 million in year two and $80 million in year three. And that is just to maintain a role at ALIC. We need that for our loan writers to become great, but we also need it for the set to run. So, we don’t actually let them go into a broker role after two years of training until such time that they’ve showed all the right attributes to be able to do it. The training comprises sitting in around 300 meetings, doing six to 12 months of training in our back-end engine room – our client services area – and then doing 12-18 months being a 2IC (second in command) to one of the investment managers. Only then do they work on the front end on the sets. Q. WHY IS THE TRAINING SO INTENSE? Our job is to give people with the right attitude and behaviours. Only then do we let them loose after we’ve taught them what to say, when to say it, how to say it, how to write and what not to write. It’s more about how to talk to customers and how to service them. Because we are an investment business, it’s all about learning the things that we can’t advise on – the tax side, the property side, the planning side, the gearing side – because even though we can’t advise on it, we need to know what is going on. It’s all about understanding the holistic approach. Our skills, as brokers, involve getting in front of people and asking about structures and strategies and really understanding customers and spending hours and hours with them. It is not putting files together or talking to the banks about scenarios or settling and organising offset accounts and credit cards. So, we have a support team to handle that. We want to stay ahead of the game and understand the banks and what they want a lot more so that we can minimise the rework. We want to talk to management there and see what they need. We want to extend our broker to team to 17 in the next 12 months and be writing $1.5 billion a year in the next 3.5 years. We currently have six team members based in Manila too, and we would like to extend that out to 20 in the next year. What we’re trying to do is minimise the amount of non-value work with all of our brokers. While we haven’t gone down the path of technology solutions at the moment, our new MD, Nate Fosnaugh, will look into that as he has a bit of expertise in that area. You can’t fall too far behind on that, or you get left behind.